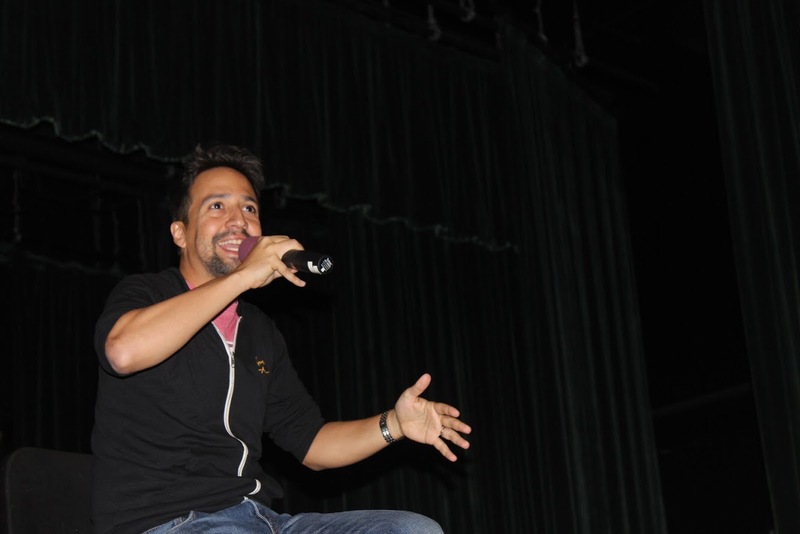 During a visit to Los Angeles for the opening of his hit Broadway show “Hamilton,” playwright Lin-Manuel Miranda told his life story that led to his success to nearly 1,000 student attendees. Alongside Miranda was his father Luis Miranda, Congressman Cárdenas, Councilwoman Nury Martinez, state senator Robert Hertzberg, Secretary of State of California Alex Padilla, Los Angeles Unified School District member Kelly Gonez and staff from LAUSD. Students across the Northeast Valley were invited to Panorama High School on Aug. 17 to learn about Miranda’s career in the arts and the new educational program he has helped implement in public high schools across the country. Funded by the Gilder Lehrman Institute of American History and the Rockefeller Foundation, EduHam is a complete curriculum supplied to Title I schools across the country that helps teach the story behind “Hamilton.” In this project, students create short skits that relate to Hamilton or the history related to him. The new EduHam curriculum will make teaching early United States history much more interactive for over 250,000 students in the next five years. After creating their skits, working first-hand with documents written nearly 200 years ago, students have a chance to show off their performance on stage before the start of the musical in front of thousands of people. Some schools will have the fortunate opportunity of watching the show for free, with tickets provided by EduHam. Daniel Pearl Magnet High School’s junior class will have the luck of attending the show in mid-October. From childhood songs Miranda wrote in the third grade about Garbage Pail Kids trading cards, he slowly started to work on music professionally. When he was 19, he started working on his first show “In the Heights.” Nine years later, it was finished and put out on Broadway, without him knowing whether or not it would catch on. No matter what, he was proud of sharing a story he thought was worth listening to. Miranda revolved “In the Heights” around his own childhood and the neighbourhood in which he grew up in. Three of the characters were even named after his three cousins Kevin, Camila and Daniela. He wanted to show what life was like in the largely Latino-populated area of Manhattan. The play told a story that was underrepresented on television. He wanted others to have something they could connect to. “People come up to me who say they have stories similar to Nina and they listened to [the song ‘Breathe’ from ‘In the Heights’] and it helped them get through it all,” Miranda said. When asked by junior Zachary Gephart-Canada whether or not he would ever focus on a person of color for a future play, Miranda filled with excitement about the idea.